Great news for the football aficionados of the Garden City, The Amateur League (TAL) is back! The second season of TAL kicked off with much fanfare on March 22 at the Holy Ghost Church grounds, Fraser Town. 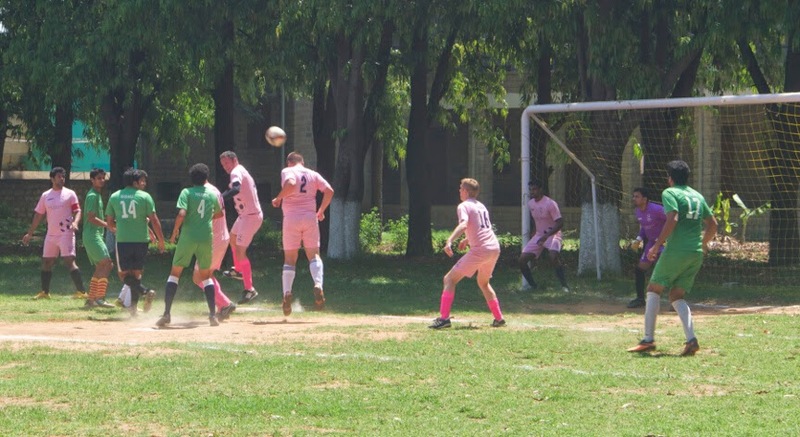 TAL is a Bangalore-based 11-a-side weekend football league, which is open to the amateur and professional footballers. The primary aim of TAL is to provide footballers with constant 11-a-side action throughout the year. Something that is hugely missing in Bangalore. TAL is created with the objective of providing all footballers a chance to experience the game at a professional standard. All teams get customized jerseys - players’ name and numbers add the league experience. Reports, photos, video highlights, and statistics all of which add to the experience of the league accompany the game-days. TAL Season 1 took place in the month of June last year and went on till September at BGS International Residential School. A total of 12 teams participating in a round robin format. Teams were made of up players from all walks of life - School and college students, professional footballers, expatriates, and corporate individuals, all came together to provide diverse footballing action. The inaugural season went down to the wire, with Horizons FC and Sunday FC going head-to-head on the final day to determine the winner. Sunday FC needed a win to lift the trophy but a draw ensued thereby crowning Horizons FC as the champions of the inaugural season. TAL Season 2 is currently underway. The new season started with more than half of the teams returning from Season 1 while a couple of teams merged to form new teams as well welcoming some new exciting teams. The quality of action in this season is going better in every round. You can catch all actions from their FaceBook page, https://www.facebook.com/TheAmateurLeague and YouTube channel, https://www.youtube.com/user/TALBangalore. With the increase of popularity and folks wanting to play in the league, TAL has decided to create Division 2, which is all set to debut in the second week of May at the same venue. After creating the division system created, TAL plans to introduce promotion and relegation within the league. This will help increase competitiveness. The bottom two teams of Division 1 will be relegated and the top two teams of Division 2 will be promoted. With teams signing up quickly, Division 2 has only a few spots open. Division 2 will take place on Saturdays.